This recipe inspired by Alton Brown and HoChiWaWa at Visual Recipes. 1. Place all of the chiles and the cumin into a medium nonstick saute pan or cast iron skillet over medium-high heat. Cook, moving the pan around constantly, until you begin to smell the cumin toasting, approximately 4 to 5 minutes. Set aside and cool. 2. Once cool, place the chiles and cumin into the carafe of a blender along with the garlic powder, oregano, and onion powder. Process until a fine powder is formed. 3. Allow the powder to settle for at least a minute before removing the lid of the carafe. Store in an airtight container for up to 6 months. 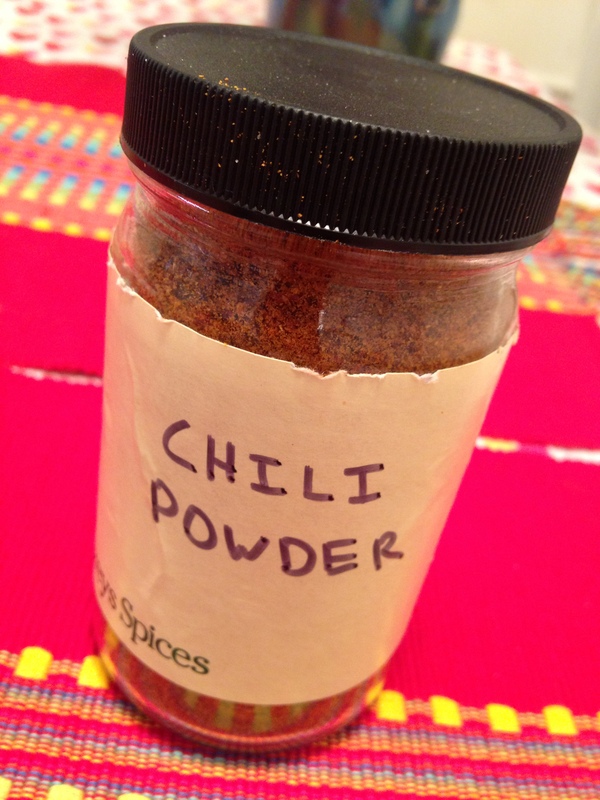 Chili powder, along with vanilla extract and a few other special cooking aids, is one of those things I consider precious and wondrous in the kitchen. Immerse yourself in the sweet smell of the chiles and the bold smell of the toasting cumin seeds. Watch as your hard work blends down into concentrated memory and flavor. Enjoy! If you don’t have access to the named chiles, don’t fret – use whatever dried chilies you have access to. Every batch I make is a little bit different! Also, if your blender won’t process the chili powder fine enough for your tastes (like mine won’t), use a coffee grinder to finish the blending job. This recipe graciously stolen from Bill Echols at allrecipes.com. 1. Combine all ingredients thoroughly. Store in an airtight container. They say variety is the spice of life – we prefer actual spices! 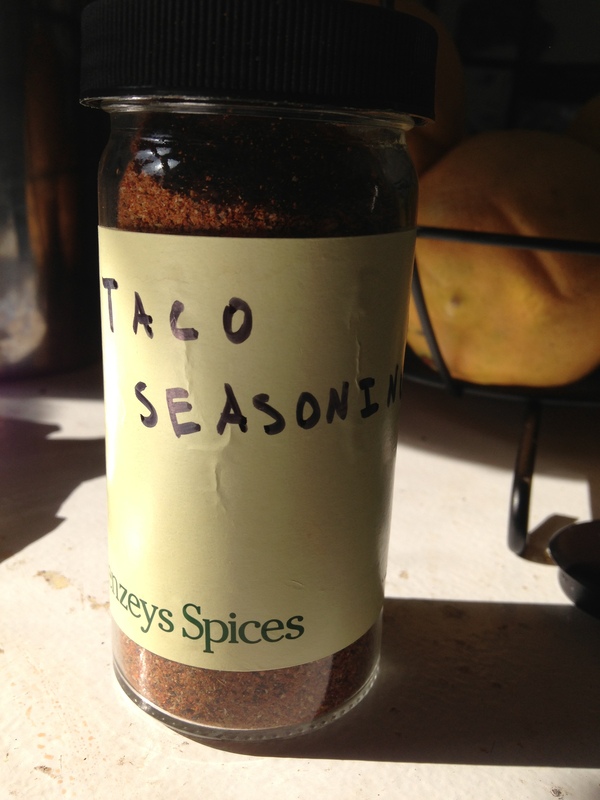 This is our go-to recipe for taco seasoning. 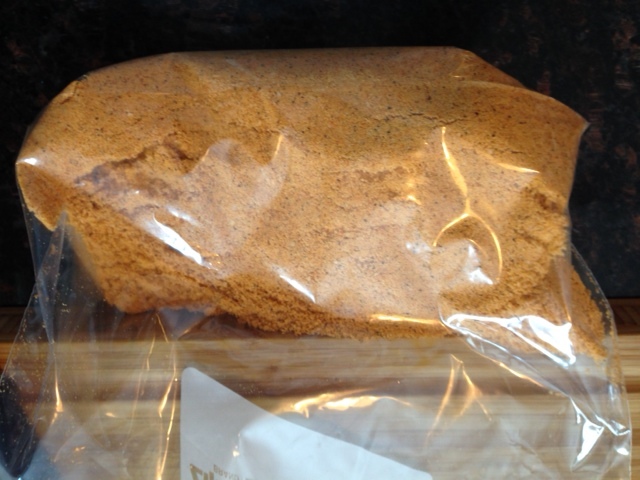 It tastes especially good when we use our homemade chili powder! Adjust the recipe however you please to suit your own tastes. We use about 3 tbsp per pound of ground beef.